As Jamal Khashoggi’s body, or its dismembered parts, remain to be discovered, and Raif Badawi continues to be incarcerated with the threat of 950 lashes still hanging over him (the first 50 were inflicted in January 2015), I wanted to have a look at what these men had actually written to make them the target of such barbaric punishment by the Saudi Arabian authorities. Had they advocated armed insurrection? Had they incited violence against the person of the ruler? No. They’d merely traded in words – words and progressive ideas. And there we have it! No bombs or gun blasts needed. What has toppled empires? What rocks a powerful country on its axis? Words and ideas. “The pen is mightier than the sword,” is a well known phrase, yet most of us rarely give it credence. Perhaps we should. 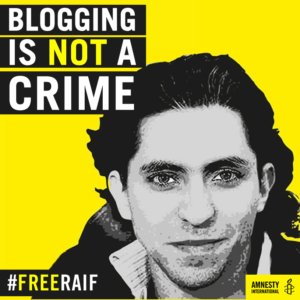 Given that the Kingdom of Saudi Arabia sentences a blogger to savage punishment and sends a 15-man hit squad armed with weapons and a bone-saw to silence a journalist. Autocratic authority refuses to be accountable and often goes hand-in-hand with strict religious orthodoxy. Both propping each other up, both justifying each other. A vicious circle creating a culture of intimidation and silence. We’ve seen versions of it before, as recently as colonialism and slavery. Jamal Khashoggi was no dissident as his daughters have written, but a Saudi patriot who wanted free expression and reform in his country. 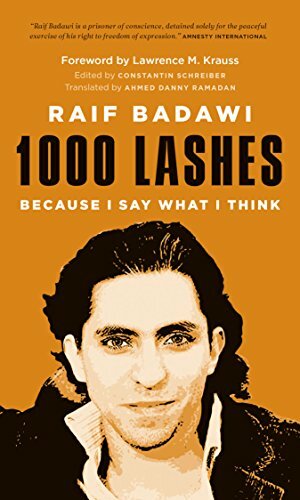 In a September 2017 article about the arrests of over 30 people, Khashoggi echoes Raif in describing the dehumanisation of those who speak out : “…the public shaming of intellectuals and religious leaders who dare to express opinions contrary to those of my country’s leadership. …” As well as the leadership’s practice of “encouraging citizens to name others to a government blacklist. 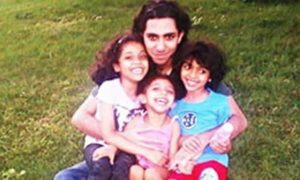 Those arrested were on that list.” He ends the article with the words “We Saudis deserve better.” A direct challenge to the ‘Thought Police. In his blog, The Day of the Nation Badawi puts forward civilisational values when he writes: “One of the most honorable bases for a united nation is that it shouldn’t be built upon the specifics of one person, or one line of thought, or one group, excluding everyone else.” Hardly an idea which would find favour with a religious, monarchical ruler, whose word is law. Khashoggi lambasts the hypocrisy of Saudi officials who castigate Islamists. He contends that Saudi Arabia is the mother of all political Islam pointing out that it describes itself as an Islamic state in its “Higher Law,” thus avoiding the term constitution and often saying that the Koran is the constitution. In the blog Let’s Lash Some Astronomers, Raif, whose style is often ironic or satirical, expresses profound admiration for a science he says he’s only recently learnt about: Sharia Astronomy. An Islamic preacher had demanded that astronomers face the consequences of their actions, as “they are faulting the sharia vision.” Raif calls upon NASA to immediately abandon its telescopes and send scientists to study ‘real science’ with these preachers. Conservative Islamic scholars, and Saudi sharia scholars in particular, make literal interpretations of passages in the Quran, believing the earth to be flat, heaven arranged in multiple levels, and that the sun revolves around the earth. 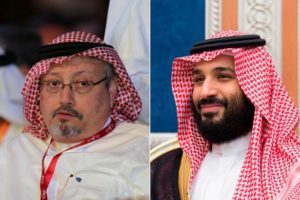 In a November 2017 article, “Saudi Arabia’s crown prince is acting like Putin” Khashoggi has a go at corruption and the waste of oil wealth. Describing corruption in KSA as being of a different order entirely from corruption in other places, where a bribe or an expensive gift suffice to ease the path towards a contract; corruption in KSA has made senior officials and princes into billionaires. Contracts are either inflated or a complete fantasy. A massive sewer project in Jeddah turned out to be merely manhole covers across the city without any actual pipes. He admits even though he was the editor of a major paper at the time, he and other editors knew about this, but no-one reported on it. Such was the fearful and menacing atmosphere. And continues to be. His own terrible murder testifying to it. Another example of unbridled corruption was the building of an airport, in a bizarrely out-of-the-way location, simply to enrich the princely owners of the land. The princes had received the land as a gift from the government. And then were paid extravagant compensation for the use of the land. Khashoggi shockingly reveals that only 40 percent of Saudis are able to own their own home, because of the monopolization of land by the royals, and asserts that Saudi Arabia is no longer a wealthy country largely due to gross mismanagement of our rather formidable petro-wealth. Likening the royals to the greedy couple who killed the goose that laid the golden eggs. 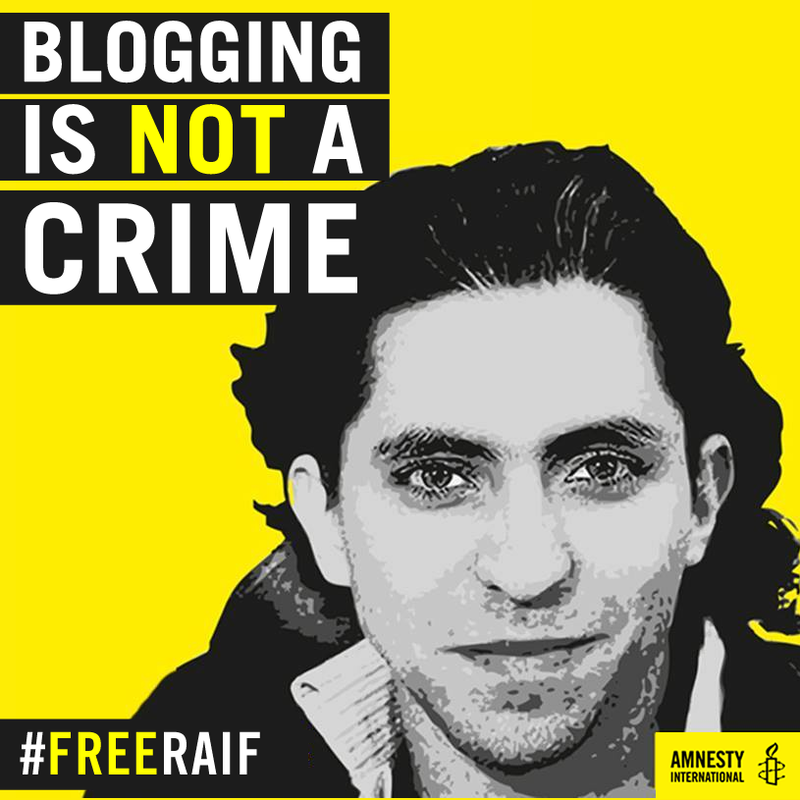 Both Raif Badawi and Jamal Khashoggi convey a deep love for their country and the progressive values of freedom of speech, human dignity and good governance. 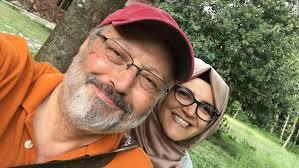 Jamal Khashoggi doesn’t hesitate to write honestly about himself either: “It was painful for me several years ago when several friends were arrested. I said nothing. I didn’t want to lose my job or my freedom. I worried about my family. 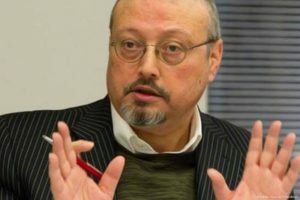 Khashoggi may have been brutally murdered but his words and ideas have now circulated far beyond their original publication and gained global status. 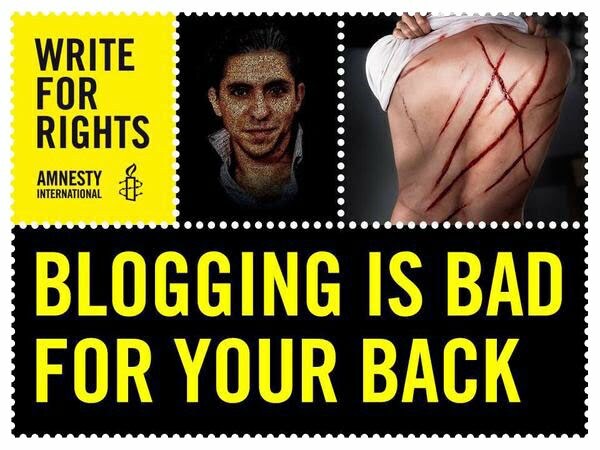 The imprisoned Raif Badawi’s words continue to exist in the world.